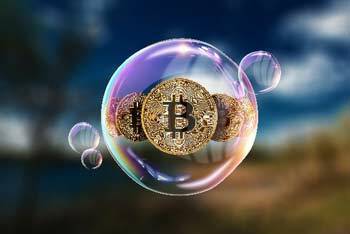 The price of Bitcoin is falling closer to $8,000 after Alphabet Inc. (Nasdaq: GOOGL) and its Google search arm announced it will ban cryptocurrency advertising this summer. Google's ban will hit advertising that is tied to initial coin offerings, crypto exchanges, cryptocurrency wallets, and marketing for trading advice. The decision is similar to the ban introduced by Facebook Inc. (Nasdaq: FB) in January. Facebook banned advertising tied to ICOs and informational products. This could help prevent newer investors falling prey to scams, but the crypto community is worried about the broad censorship. Search for Bitcoin is also down, according to Google trends. There isn't the same kind of money flooding into the space as there was in December 2017. On Thursday morning, the market capitalization of the global cryptocurrency sector fell to $325.83 billion. Bitcoin comprised 42.6% of the total cryptocurrency market with a market cap of $138.92 billion. The top performer in the space was DigixDAO, which popped 40.0%. Other top performers from the top 100 cryptocurrencies included Aion (up 5.84%), Ethereum Classic (up 3.46%), Emercoin (up 1.98%), Waves (up 1.40%), Loopring (up 0.68%), and Decred (up 0.35%). The worst performers from the top 50 largest cryptocurrencies by market capitalization included Status (down -16.35%), NEM (down -15.58%), Steem (down -14.14%), and Ardor (down -13.78). Markets are facing ongoing regulatory uncertainty ahead of this weekend's G20 meeting in Argentina. Japanese regulators are urging G20 nations to prevent the use of cryptocurrency in global money laundering operations, and it could lead to a discussion on a potential framework on global cryptocurrency transactions. However, it is unlikely that these countries will reach a significant conclusion on the topic right now. With Bitcoin prices falling around $8,000, we saw one of the market's most bullish hedge fund managers bet big on the cryptocurrency. Bloomberg reports that Alan Howard of Brevan Howard Asset Management has made a "sizeable" investment as he expands his focus on ICOs and private equity blockchain startups. The hedge fund has turned to cryptocurrencies as a way to rebound from its 5.4% loss in 2017. The cryptocurrency boom is the most drastic revolution of the financial sector since the creation of the New York Stock Exchange – and a brand-new kind of order is about to be imposed on the financial sector. And whether you're in or out, cryptocurrencies are turning the investment world completely upside down. Right now, you have the rare opportunity to claim an early stake in this revolution. Go here to see how to start today.